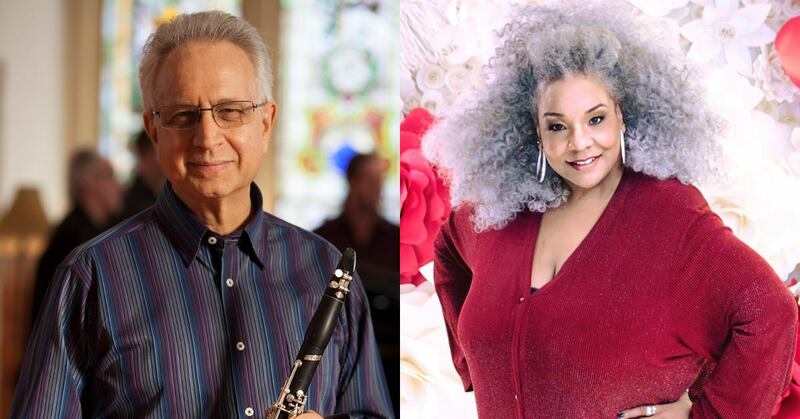 Renowned jazz singer Wanda Houston and clarinetist Paul Green will present a program that fuses jazz and Jewish music and reflects the longstanding fellowship between the African American and Jewish communities. 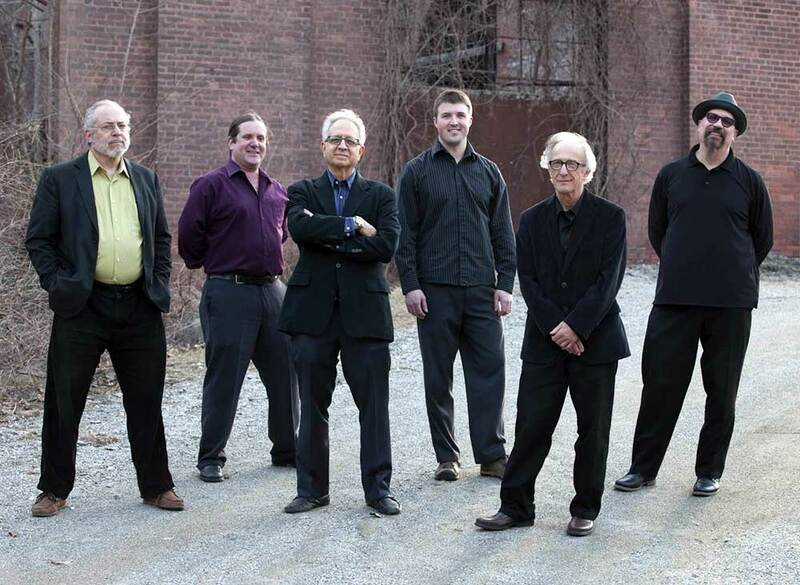 The concert is a benefit for Clinton Church Restoration, which is restoring and repurposing the historic Clinton A.M.E. Zion Church in downtown Great Barrington as an African American heritage site, visitor center and community space. A reception will follow the program. Contact: For more information, visit Clinton Church Restoration or email admin@clintonchurchrestoration.org. My new album is now available — my second recorded exploration into the fusion between jazz and Jewish music. Find it on Amazon, iTunes, Spotify, and YouTube! 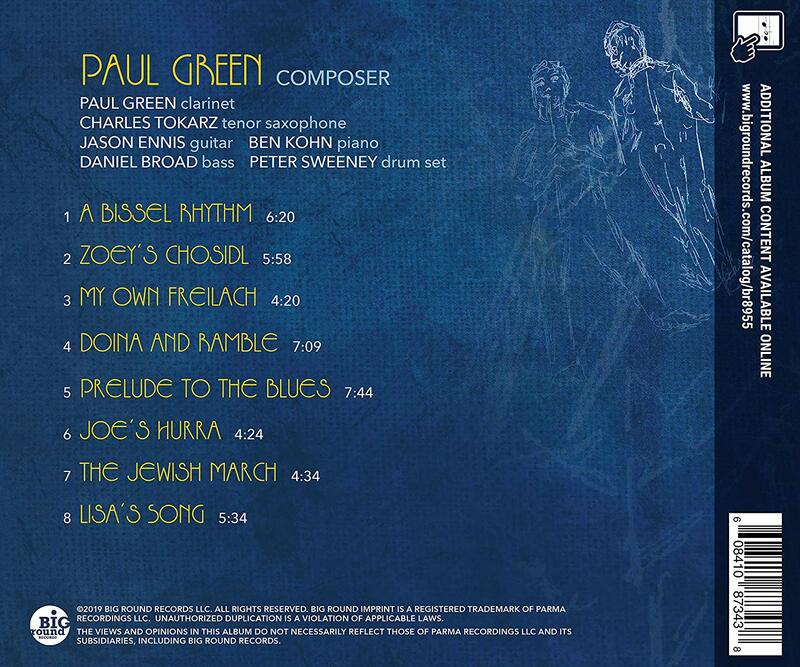 Green opens the album with the title track, A Bissel Rhythm, a reworking of the George Gershwin standard, “I Got Rhythm.” Already interpreted by such astounding jazz players as Charlie Parker and Sonny Rollins, Green turns the song into a Jewish expression by using traditional Hebrew scales, placing it in a minor Jewish-sounding key, and giving it a joyful, freilach (merry) fast tempo. That same joyful feeling is expressed in My Own Freilach, which should be familiar to anyone who has ever attended a Jewish wedding or bar mitzvah. Here, it is performed at near breakneck speed, leaving it to the players to see who can maintain the pace, whether they’re playing the tune as written or improvising their own licks. With Doina and Ramble, the composer reimagines the funeral traditions of New Orleans, by placing the Doina, a klezmer form, in the context of an imagined New Orleans funeral. In this tradition, the slow funeral song would be followed by a joyful performance, which Green depicts in his piece Ramble. The Jewish March hearkens back to the time when Jewish musicians in Russia were often prohibited from playing loud instruments. When those musicians arrived in America, they let loose with drums, wind, and brass instruments. The Jewish March is a recreation of an early 20th century piece, complete with drum rolls – courtesy of Peter Sweeney – and plenty of loud, exuberant playing. This energy and spirit permeates the album as a whole, making for an experience that is as impressive as it is enjoyable to hear. There have been periodic waves of Klezmer revival as if each new generation discovers the energy and improvisational fervor that makes it one of the world’s most enduring popular musics. What makes clarinetist Green’s work different is that while respecting the tradition, he’s not afraid to take a breath and let the blues in, “Tarras Doina and Blues”, or to play sweetly and classically with traces of the lyricism of say Darius Milhaud. He takes Wayne Shorter’s “Footprints” to a magic understated place where he brings that special traditionally Jewish timbre to the piece while gently swinging in the breeze like a leaf about to take flight in the New England wind. Check out “Utt Da Zay” for the perfect Blues/Klezmer wedding. -Hobart Taylor, KUCI 88.9 FM Irvine, CA. Keith Wolzinger of the Klezmer Podcast interviews Paul about his motivations for producing “Music Coming Together,” and what Jewish-Jazz fusion is all about. (Close Encounters With Music concert 4/17/16) Juilliard-trained clarinetist Paul Green’s exuberant playing, in particular, was spot-on and as spirited — in a Klezmery way — as one could possibly require. 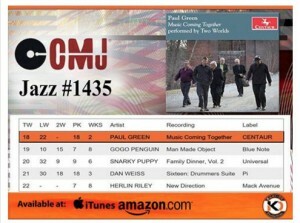 Not all classically-trained clarinetists are capable of performing Klezmer-inflected music convincingly, but Green has unquestionably mastered the style. 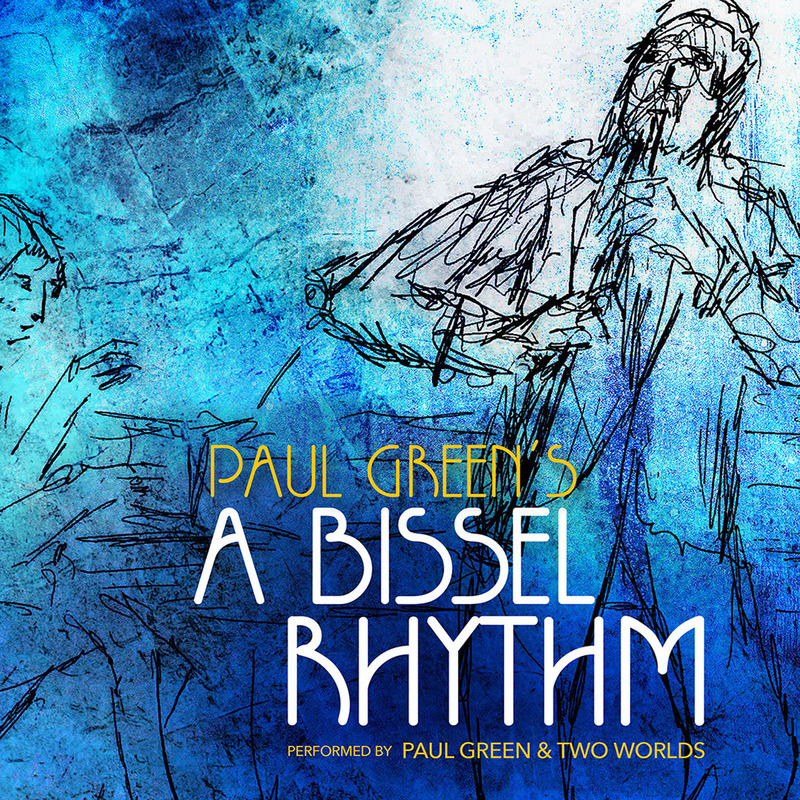 PAUL GREEN/Music Coming Together: Yeah, yeah, yeah, others have melded jazz and klezmer in the past, but how many of them were hot shot classical musicians who’s grand father was a cantor—and never knew it? As much inward journey as experimentation, if anything, Green’s mash up has led him to his inner Kurt Weill and you can hear these melodies fitting easily into “Lost in the Stars” or “Three Penny Opera” without any problem, even as he does tongue in cheek riffs on Miles and Wayne Shorter. While Green may not be sure if this recording is michik or fleishik, it’s a pretty dazzling set of adult, instrumental music with a world beat edge. A nifty treat that takes you beyond the pale, this is sure bet when you want to get into some pure listening music that won’t let you down. Well done.